Grove, Okla., Grand Lake O’ the Cherokees and the greater Tulsa area has been in the public eye of the bass fishing world for most of the winter. 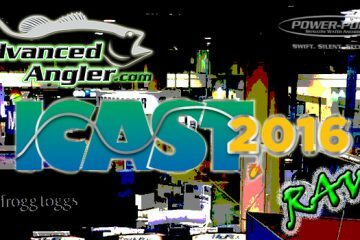 With the competing of the 43rd Bassmaster Classic happening less than three weeks ago, and the fanfare that surrounded that event; the focus of the fishing world was justifiably on that region. 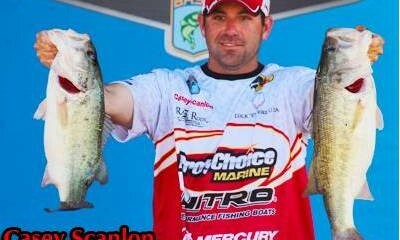 One local angler did his best to keep the focus squarely on Grand Lake for a little while longer the week after the Classic champion had been crowned. 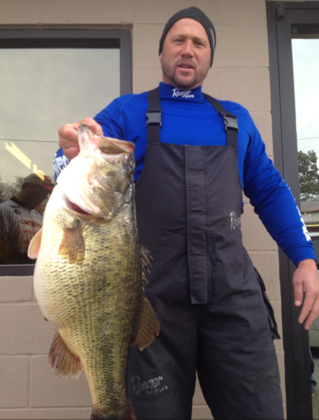 On Sunday, March 3 – the week after Cliff Pace became the king of bass fishing for a year; 43-year-old Sand Springs, Okla. resident Billy Lemon became the Grand Lake King, until someone breaks his record. 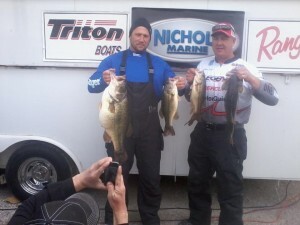 While competing in a Nichols Marine Team Tournament Series event with his partner Corey Smith, Lemon became the king of the lake when he caught the new lake record largemouth bass when he boated a 12.3-pound, giant that bested the former lake record of 10.9 pounds; that fish was recorded a little less than a year ago. While catching a lake record may be reward enough, the behemoth was the anchor to a 24.95-pound limit that helped Lemon and Smith beat 293 other boats in the event, and earn them a new Triton bass boat for their prize – along with a $1,000 bonus for the biggest bass. we got the chance to talk to Lemon about the fish, he was willing to share with us the details of the catch, and let us get to know him a little bit. In case you were wondering, the 12.3-pounder is his personal best. 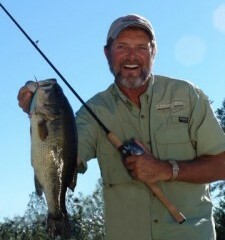 Prior to that, he had caught an 11.5 pounder while on a trip to Lake Guerrero in Mexico. Lemon said he knew he had a giant fish, but after he and Smith celebrated for a moment, he told his partner that he thought she weighed between nine and ten pounds; they high-fived each other and did what any other seasoned angler would do – went back to work. Another boat was nearby, and asked them how big the fish was. Lemon said he didn’t know, so the person told him that he had a digital scale in the boat, did they want to borrow it. Lemon politely declined and said they needed to get back to filling their limit. 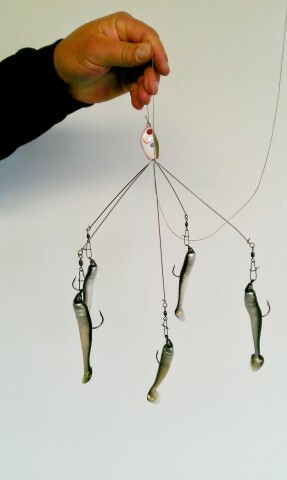 They did of course, and would eventually win, and he shares with us the details of the pattern he has used to catch that bass, and many others using the castable umbrella rigs. That being said, he prefers to fish them in water lower than 50 degrees, but said they maintain some of their effectiveness up to 55-degrees. He looks for points that lead directly into a spawning flat that intersects directly with the channel that runs through the pocket. He said those are the elements that make the rig the prime tool for the job. Lemon reported that they weighed in for the event, then took the fish to Littlefield’s Sporting Goods to have it certified, met with the Oklahoma Department of Wildlife, then took the fish back to the tournament’s live release boat to be returned to the lake alive. He has also experienced success after the big fish as well. 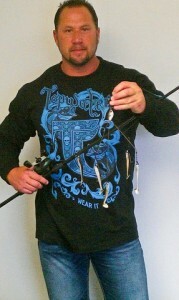 He won an FLW Walmart BFL event on Grand Lake this past Saturday, March 9 using the same pattern. His winning weight was 19 pounds, 11 ounces, and he said he didn’t think he had enough for a check when he returned to the weigh-in; he won by nearly three pounds. Hopefully, for him, it won’t be on Grand Lake, and may they all be smaller than 12.3 pounds – for the sake of his generosity.